This section contains some basic tips, do’s and don’ts that will help you set up a naturescaped yard while saving water, energy and time maintaining your yard! Use the menu below to scroll down to a section. Compost and recycle all disease-free organic debris back into the landscape. Because many urban and suburban soils are severely degraded by the construction and development process, it is important that we add organic matter back into the soil. Compost helps with water infiltration and retention, will build up the population of beneficial soil microbes, and will provide your plants with the nutrients they need. Follow nature’s example: let fallen dried leaves remain on the soil under trees and shrubs, where they will act as a free mulch inhibiting weeds, holding in moisture, and breaking down to provide nutrients for the plant over the coming year. Compost kitchen scraps, pruned twigs, etc. at home. You’ll save on disposal fees and landfill space, and reduce transportation impacts, while creating an organic soil amendment for your garden. Assess your site conditions: make note of where there is sun or shade, and how much moisture different areas get, then select plants that thrive under those conditions. Select plants whose ultimate size and shape will fit the area and its needs. 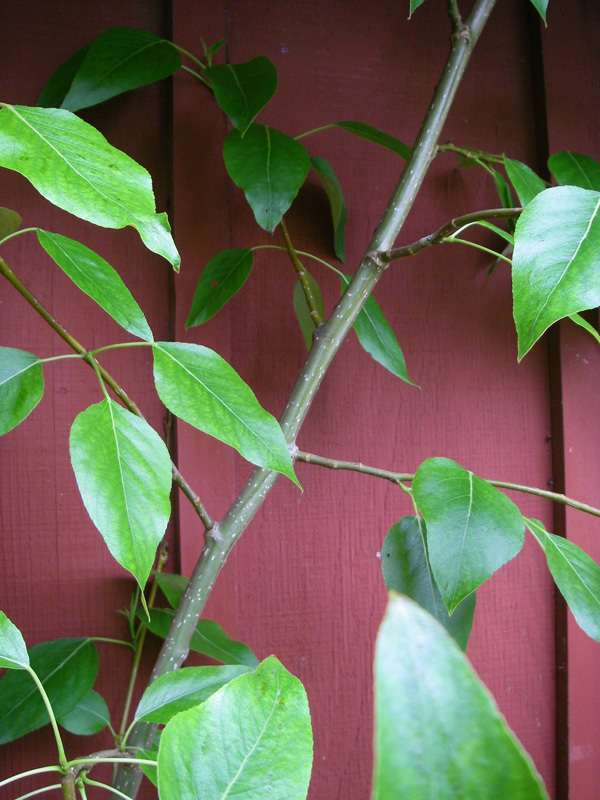 Overcrowding plants can encourage diseases, while sparse planting can invite weeds. Choose compatible plants and plant communities: look to nature for native species that have co-evolved. They will often stand a better chance of survival if their relationship is recognized and accounted for within the landscape. 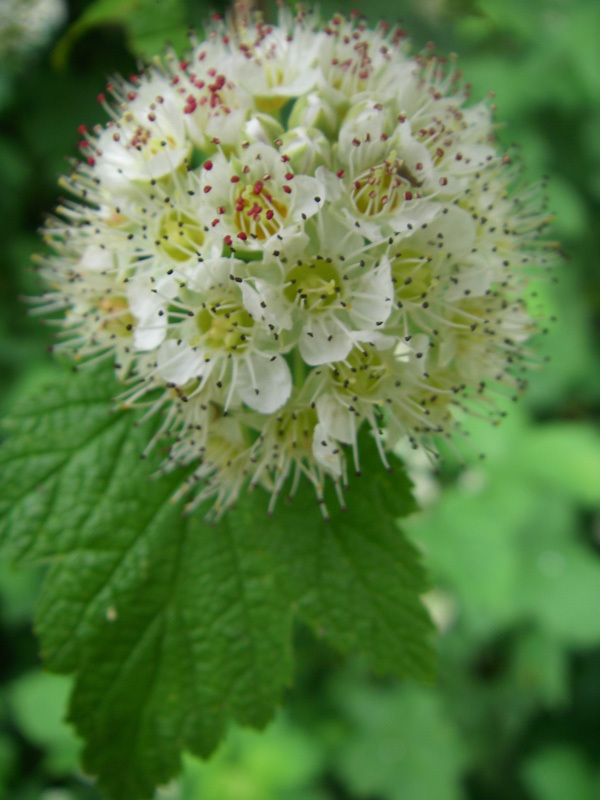 Avoid invasive plants and aggressive non-natives. Some plants, when removed from their native landscapes, lack the environmental or biological constraints that keep them from overrunning a landscape and creating swaths of monoculture. Don’t plant plants that need to be replaced every year or that can’t handle your climate and die every time the temperature falls out of their ideal range. This wastes resources, including your time and money! 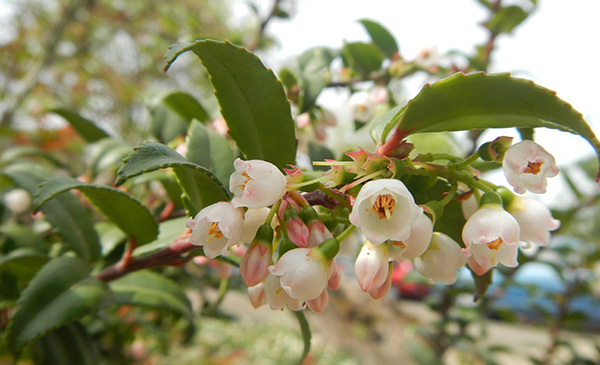 in our native plant database! Avoid planting plants that require long-term irrigation. Only irrigate plants until they are established (established plants are firmly rooted in the ground, and produce enough foliage to sustain themselves)and during an extended dry period or drought. Use drip irrigation for efficient watering, precisely and only where you need it. This will help you save water and minimize weeds. Use irrigation timers: they allow you to water at times that are better for the landscape, though inconvenient for you. They also keep you from accidentally leaving the water running. Water early in the day or in the middle of the night (with a timer, of course), when the air is still and the soil cooler. Use mulch to retain soil moisture and inhibit moisture- and nutrient-robbing weeds. 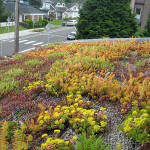 The plants are really coming in, making for a much more colorful, stormwater-absorbing roof! When stormwater flows off the impermeable surfaces of our landscapes it often heats up, and when flowing across asphalt to the nearest waterway it can pick up contaminants such as auto oil, heavy metal dust, pesticides, fertilizers, and other dirt and debris. This excess water can cause flooding and erosion and is often toxic to plant and animal life. 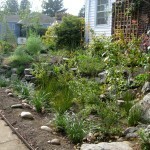 Build a rain garden if your soil and slope permit it. A rain garden is a “sunken garden bed” in your yard to which you can direct runoff from your roof, driveway, and other impervious surfaces on your property. The rain can then soak into the ground naturally rather than running off into storm drains. For certain structures, you may be able to install a vegetated roof (often called a green-roof or eco-roof) or “living wall.” It will help slow the flow of stormwater coming off the roof of a building. Use permeable pathways rather than concrete and other impermeable materials. This will let stormwater soak through rather than running off. If appropriate in your area, install a rainwater catchment system such as a cistern. You can then use the water to irrigate, flush toilets in your home, and in some states, if it is treated, even for drinking. 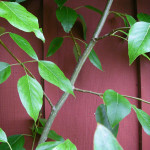 Plant more large trees and shrubs to shade buildings and cut cooling costs. Where feasible, use hand tools rather than power tools, electric or biodiesel tools rather than gas tools, and four-cycle rather than two-cycle gas engines. If you need to use power tools keep them well maintained—they will work more efficiently. Tolerate imperfections (and redefine perfection). Don’t let a small infestation and a few notches in your leaves send you running for the spray. Always use the least toxic solution—manual control is best and often most effective if done correctly. Pesticides are often not specific enough to kill just the pest you are targeting. We bring pesticides into our homes on our shoes, clothes, and pets. Pesticides escape our yards by water, wind, and leaf blowers and make their way to our streams and rivers and even into our air. Let beneficial insects build up their populations; they can be your biggest ally by eating some of the “pests” and bringing their populations down to a tolerable level. Synthetic fertilizers flow or are blown off our yards into the street and make their way to our waterways. 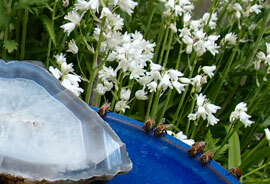 Always use compost or other organic slow-release methods of adding nutrients to your plants. Compost, in addition to providing nutrients, improves the soil tilth (good structure and nutrient value). Don’t lose where you are. Find and revel in the uniqueness of wherever you are. Don’t try to recreate the desert oasis of your previous residence in a mild and moist maritime climate, or try to create a lush tropical paradise in the dry, harsh desert. Keep it local! 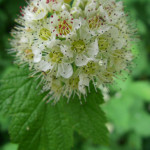 Choose locally native plants and locally produced soil amendments (compost etc.). Check out a wide variety of naturescaped yards in our photo galleries, and find what works for you!